13 July 2016. The personal genetics company 23andMe is offering a new analytical service for researchers that determines genotypes, or genetic variations, of individuals taking part in their studies. The Mountain View, California enterprise says its genotyping service for researchers includes collecting specimens and returning results of the analysis to individual study participants. The new service, says the company, aims to simplify the process of collecting genetic data in research studies. 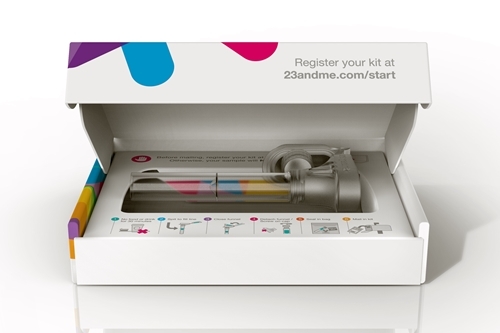 Researchers, with studies approved by institutional review boards that govern research with human subjects, can employ the 23andMe service to collect saliva specimens, extract DNA, determine genetic variations through tests and reagents, return data and project reports to investigators, and return personal analytical reports to study participants. The company says the genotyping service can also be combined with its iPhone app for researchers wanting to use mobile devices for data collection. As reported in Science & Enterprise, 23andMe unveiled in March 2016 a software module for Apple’s ResearchKit platform that makes it possible to add genetics data to iPhone apps used in medical research. ResearchKit is an open-source framework for collecting medical data with surveys or sensors connected to iPhones. The 23andMe genotyping service is being pilot tested with researchers at University of California in San Diego, University of Southern California, Washington University in St. Louis, and McMaster University in Hamilton, Ontario, Canada. The company says pilot tests include research on smoking cessation, cognitive impairment in glioma patients, as well as addictions and psychiatric disorders. The company says the genotyping service could make it easier for investigators to recruit participants by making it simple for individuals to collect saliva samples at home and return them to 23andMe for analysis. Participants would also receive their individual results collected for the research study as well as be eligible for 23andMe reports on ancestry, wellness, unique traits, and inherited conditions.